Happy Thursday friends! Another week flying right by huh? 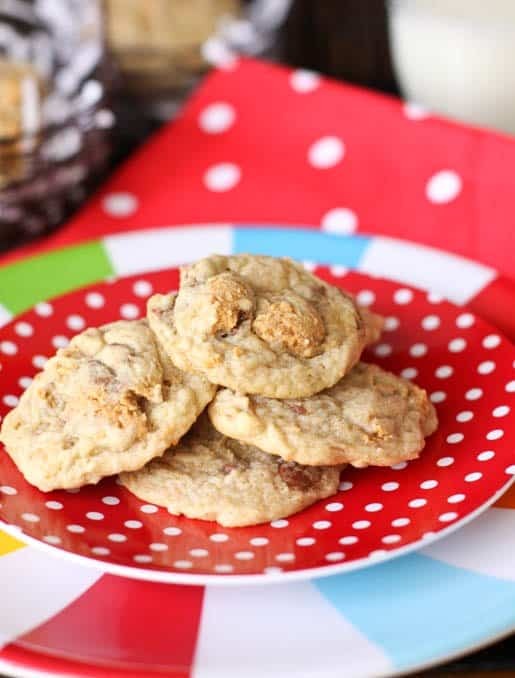 I have no doubt these cookies will become a new favorite in your household! I have to admit……these Reeses Peanut Butter Eggs are the death of me. I can NOT resist them, I’ve tried and it just doesn’t work. They are by far my favorite candy in the whole wide world which is why I am grateful that they only come out for Easter! My hips couldn’t take it if I could get these babies all year round! 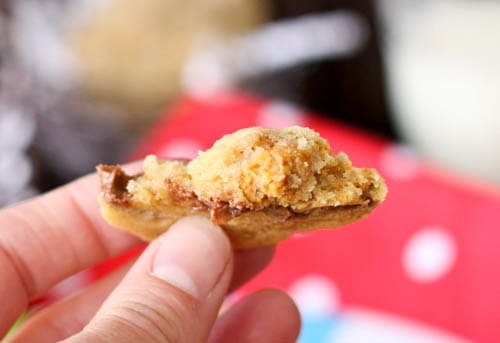 So, to make matters worse, I have created an incredible cookie for my favorite candy…..and um…..let’s just say…..they are INCREDIBLE! Don’t believe me? Try them for yourself! 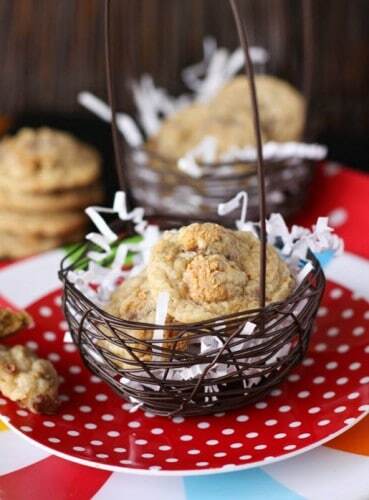 Chop the Reeses eggs on the larger side and you’ll get these fabulous chunks in the middle of your cookies! 1. Preheat oven to 350 degrees F. In a stand or electric mixer beat the butter, sugars and corn syrup until well combined….light and fluffy. Beat in eggs and vanilla until well combined. 2. In a large bowl, mix the flour, baking soda and salt. Slowly add to wet ingredients along with the chopped Reeses Peanut Butter Eggs. Mix only until just combined. Using a medium cookie scoop, scoop dough onto a silpat or parchment lined baking sheet. Bake for 9-11 minutes until just turning golden around edges. 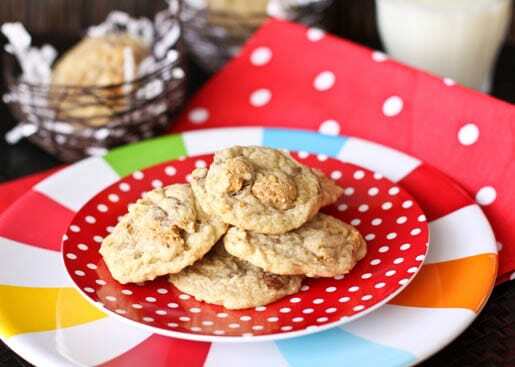 Let cookies cool for 5 minutes before transferring to a cooling rack. Eat with tall glass of milk!! Have a FAB rest of your week and weekend!